The Who and Bravado USA join forces! June 22, 2017 by Break-Thru in Entertainment News, Wholesale Only | Comments Off on The Who and Bravado USA join forces! Summerfest Announces Full Lineup For 50th Anniversary Featuring The Shins, Alessia Cara, Bleachers Milwaukee is the place to be. April 12, 2017 by Break-Thru in Entertainment News, Festivals and Tours, Music News | Comments Off on Summerfest Announces Full Lineup For 50th Anniversary Featuring The Shins, Alessia Cara, Bleachers Milwaukee is the place to be. The full lineup for Milwaukee, Wisconsin’s annual Summerfest has been announced. Famed for being one of the longest running music festivals in the world, this year will be jam packed with over 100 headlining acts. The headliners performing at the American Family Insurance Amphitheater (such as Tom Petty & The Heartbreakers, The Chainsmokers, and Future), were previously announced and festivalgoers have been buzzing ever since. Red Hot Chili Peppers will be kicking things off on June 28 as the first act to hit the arena stage. Summerfest begins June 28 and runs through July 2. There is a one-day hiatus, but then the action picks back up from July 4-July 9. There are four different ticket options, including the 2017 Summerfest 50th Commemorative 1-Day Ticket, 2017 Summerfest 50th Commemorative Power Pass, the 3-Day Pass, and the 11-Day Power Pass. You can check out more info on the festivities here, including dates, ticket prices, and the complete lineup. Make sure you’re tracking all of the Summerfest headliners on Bandsintown, so never miss them in your city! 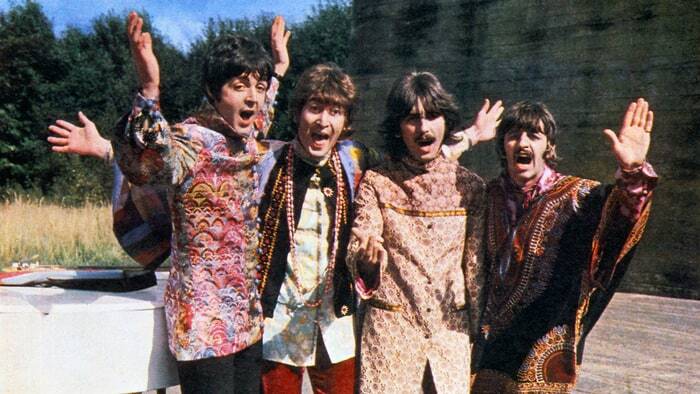 The Beatles will celebrate the 50th anniversary of their groundbreaking album Sgt. 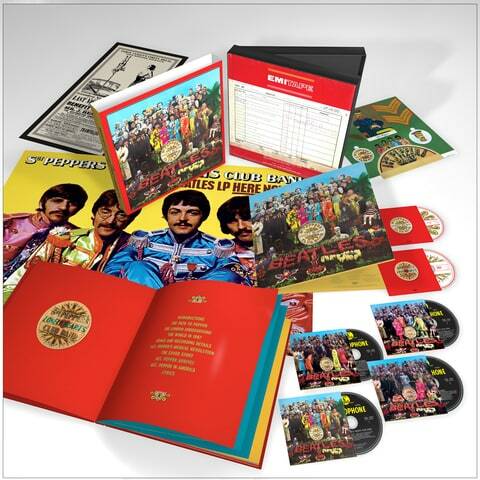 Pepper’s Lonely Hearts Club Band with several reissue packages arriving May 26th. A new stereo mix of the album will be available as a single CD and as part of every other package. An expanded deluxe edition will be released digitally, as a two-CD set or two-LP vinyl package. A super deluxe six-disc box set will also be available.All three deluxe editions of Sgt. Pepper will boast previously unreleased complete takes of all 13 album tracks. The deluxe CD and digital versions will also include new stereo mixes: a previously unreleased instrumental take of “Penny Lane” and two unreleased takes of “Strawberry Fields Forever.”The super deluxe box set come with all of the aforementioned CDs, plus 33 more recordings from the Sgt. Pepper sessions, most of which have never been released and were newly mixed from the four-track session tapes. A fourth disc will include early, unreleased mono mixes of several songs and a direct transfer of the album’s original mono mix. Discs five and six will boast surround-sound audio mixes of the album on Blu-ray and DVD, as well as promo films for several tracks and a restored version of the rare 1992 documentary, The Making of Sgt. Pepper.The super deluxe package will also come with a 144-page hardcover book featuring a new introduction from Paul McCartney and producer Giles Martin, who newly mixed the reissue with Sam Okell. The book will explore every facet of Sgt. Pepper, from its songs and legendary cover art to musical innovations and historical context. Beatles historian Kevin Howlett, composer and musicologist Howard Goodall, producer Joe Boyd and journalists Ed Vulliamy and Jeff Slate all contributed to the book. A 50-page abridged booklet will be available in the two-CD deluxe edition. Which band members were high during the cover shoot, why the packaging was the most expensive to date and more on the 1967 album’s legendary visuals.